With the improvement of living standards, more and more people pay more attention to the improvement of appearance. A variety of beauty services are also coming. For example, nails, crushes, hairdressing. Beautiful teeth, make-up, skin care and more. It is worth mentioning that the service is teeth whitening . In the promissory article, I want to introduce a teeth whitening kiosk exported to Australia. If you plan to start your own beauty business, please take a few minutes to follow me. See more details . 1.Why teeth whitening service is so popular ? Teeth whitening is a relatively common tooth whitening project that allows us to have beautiful white teeth, which can be whitened in both black and yellow teeth. With the advancement of technology, people are paying more and more attention to oral hygiene. The number of people who have whitened their teeth is also increasing. The teeth will also directly affect the external image. Of course, a white and neat tooth will not only make people feel happy, but also win praise from friends around. Type 1 . flower shape teeth whitening kiosk export to Australia . 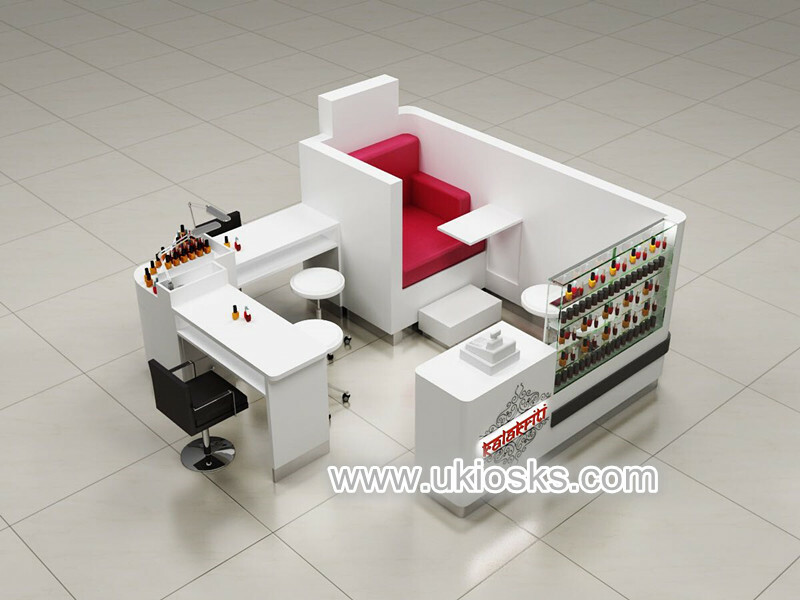 I have to say that this design is very creative, very clever use of 4×3 meters space, internal with three teeth whitening stations, a checkout counter and some cabinets . 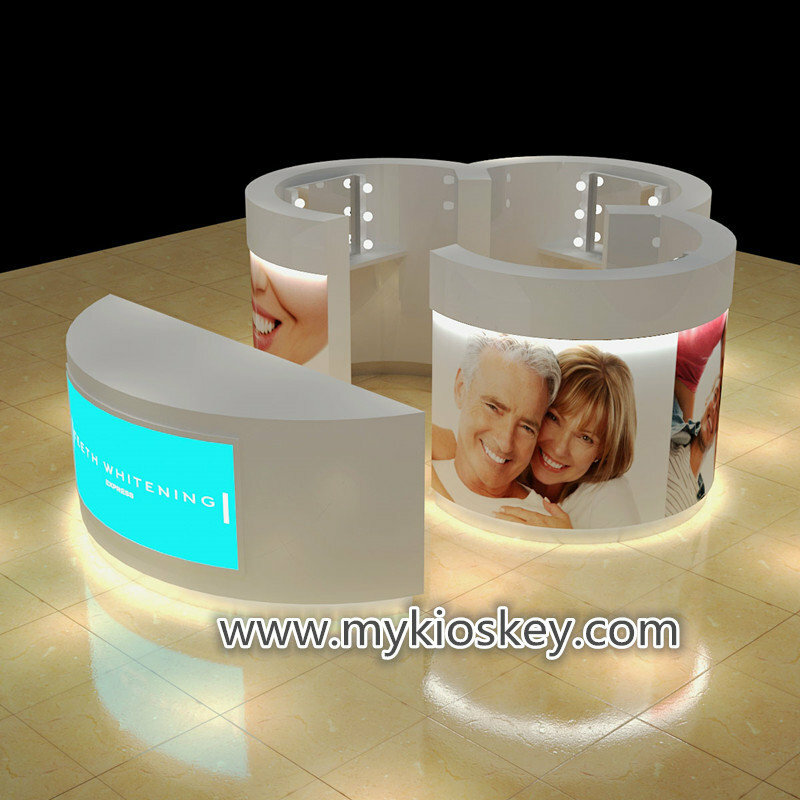 You will notice whole kiosk is very elegance and bright . A hidden light strip is installed throughout the bottom, and each beauty station is equipped with a mirror and a beauty light. 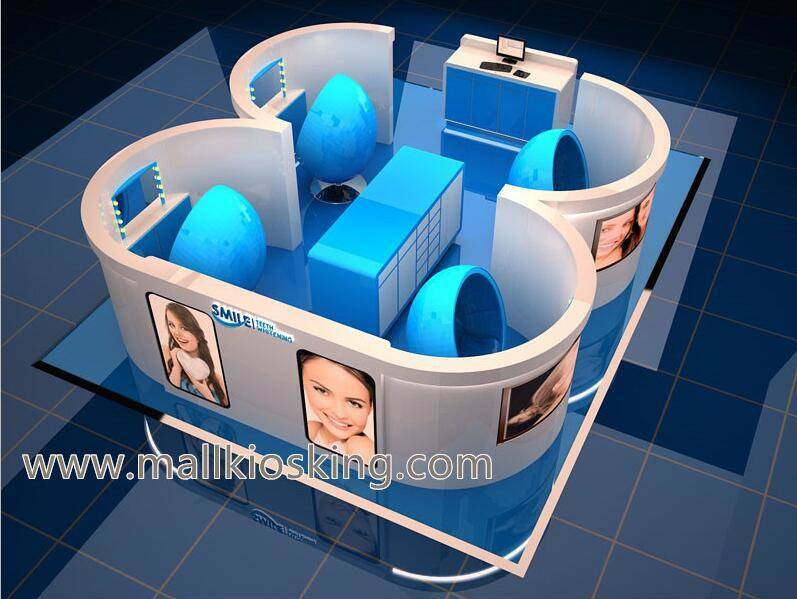 You will notice this style teeth whitening kiosk is very similar as above . The only difference is the internal layout and the goose egg chair . The goose egg chair is very stylish and comfortable, and can bring a unique experience to the guests. The only drawback is that it is large in size, usually 1 meter in diameter, so it is necessary to consider whether the space size of the entire store is sufficient. Just like the total size of this model is 5m X 4m. So even adding a low cabinet inside is very comfortable. 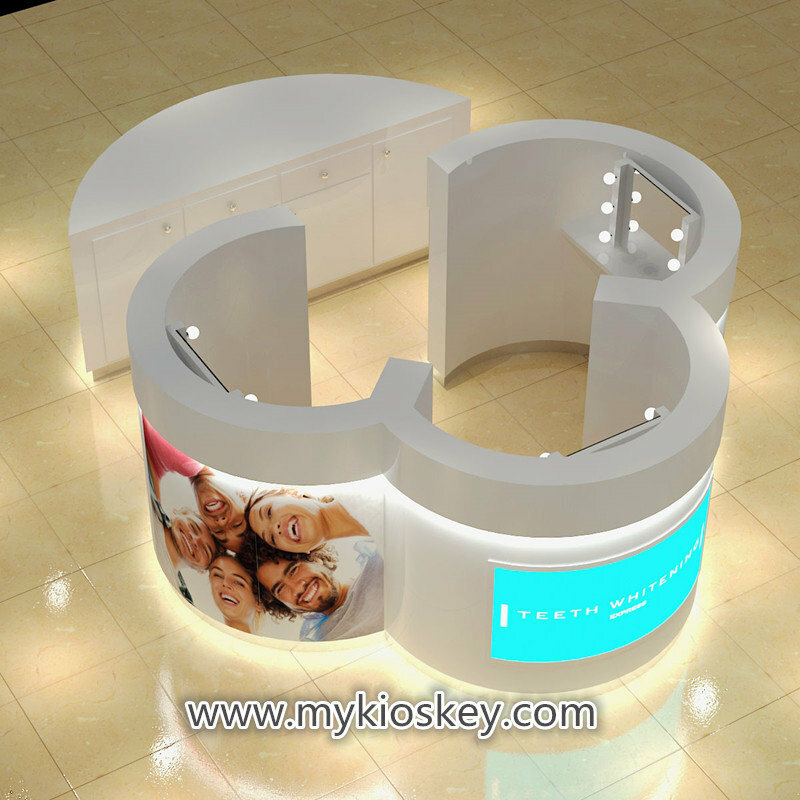 You will notice whole kiosk is very simple and Modern , inside have four teeth whitening station with mirror and light . with some cabinet and drawer . 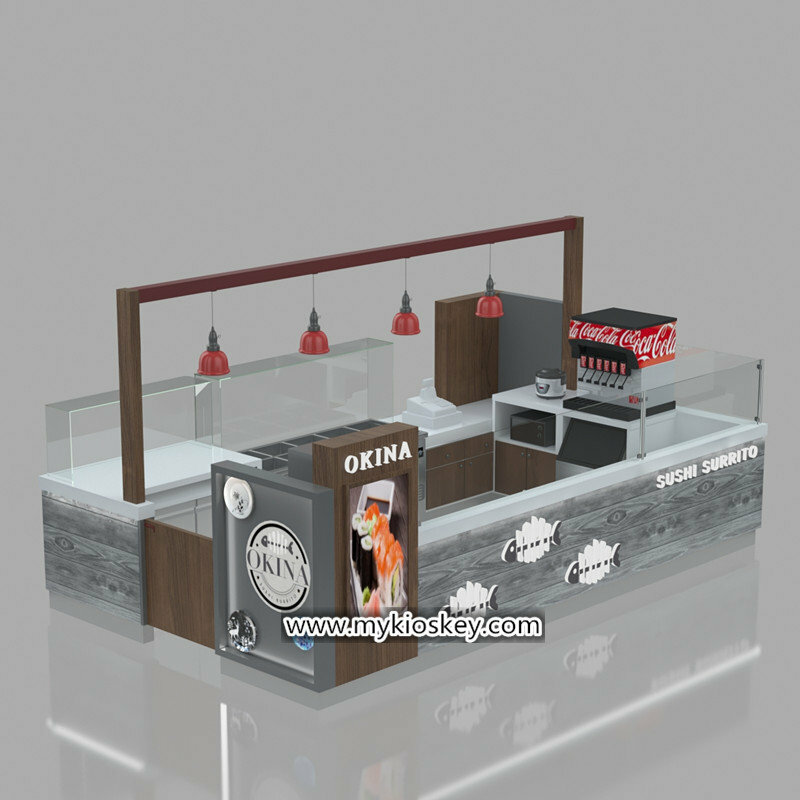 whole kiosk mainly material is MDF , surface is elegance white glossy baking painting . four sides with frosted glass for Protect customer privacy. surface with poster and sticker . 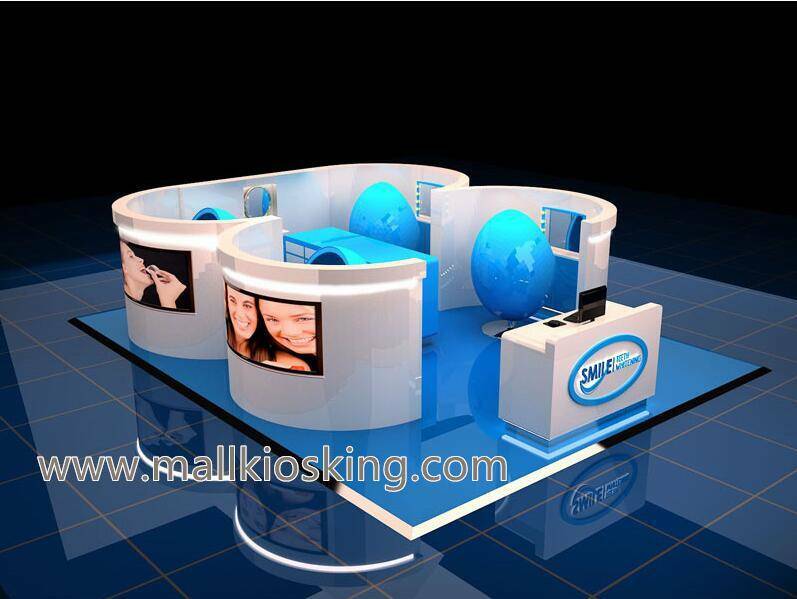 4. how to order a mall teeth whitening kiosk like this one ? Thankss for your time and reading , if you need more further info about this teeth whitening kiosk , pls feel free to contact us , thank you ! PreviousPrevious post:high end customized mobile phone shop manufacurerNextNext post:how to assemble mall cell phone accessories kiosk ?